A single wall light from the Happy Homewares range. 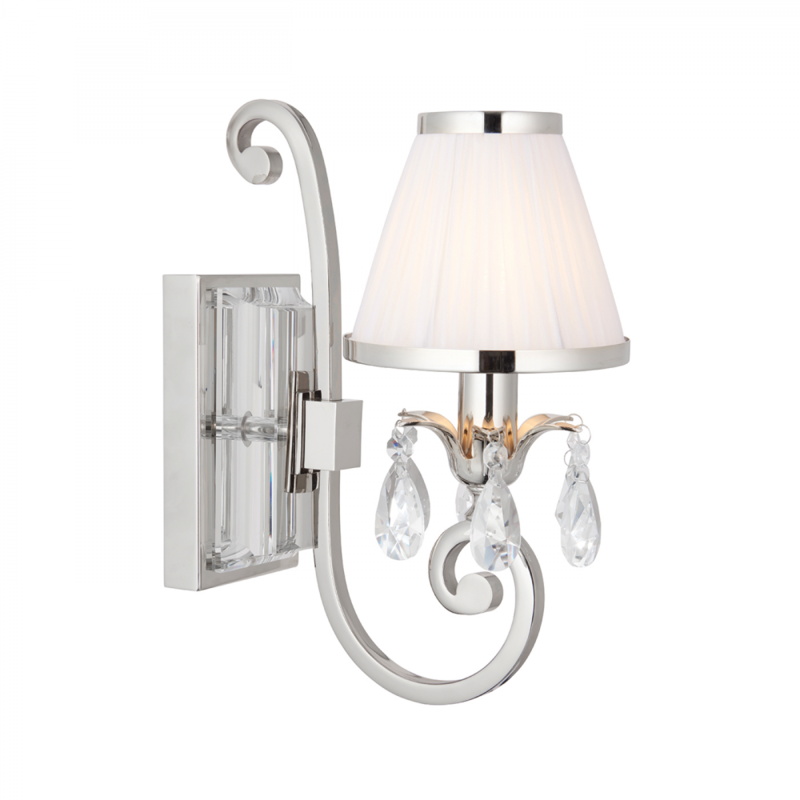 Features faceted lead crystal droplets, a decorative arm and a white pleated shade with a polished nickel trim. Matching items available and compatible with LED lamps. 25.5cm projection x 33.5cm height x 15.2cm width.